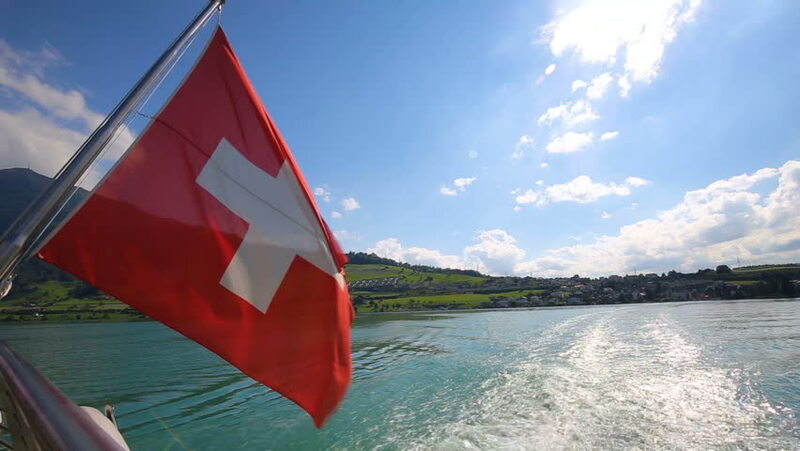 Swiss flag, Swiss landscape, Rigi mountains and Swiss Alps with boats on tourquise Zugersee during a hot sunny day from Zug, Switzerland, Europe. hd00:08PORTOROSE - APR 07: Sailboats getting ready for competition. Sailing competition in Slovenia, Portorose in 2013.